After nearly 3,500 miles and over a dozen track events, the 2018 One Lap of America rally is complete. The 2018 One Lap of America road rally is officially in the books, and the top-three finishing cars couldn't possibly be more diverse, which speaks multitudes of the rally's characteristics and demands. One expert who was present at this year's event was Tanner Foust, Red Bull GRC driver and former Top Gear USA host. Nearly 80 cars of all makes and models took part in the multi-state event, which started at the Tire Rack headquarters in South Bend, Indiana and covered nearly 3,500 miles across more than a dozen states from Illinois to Texas. Like most events of this type, vehicles were separated in different classes in order to offer closer, fairer competition, including categories for stock and modified vehicles. 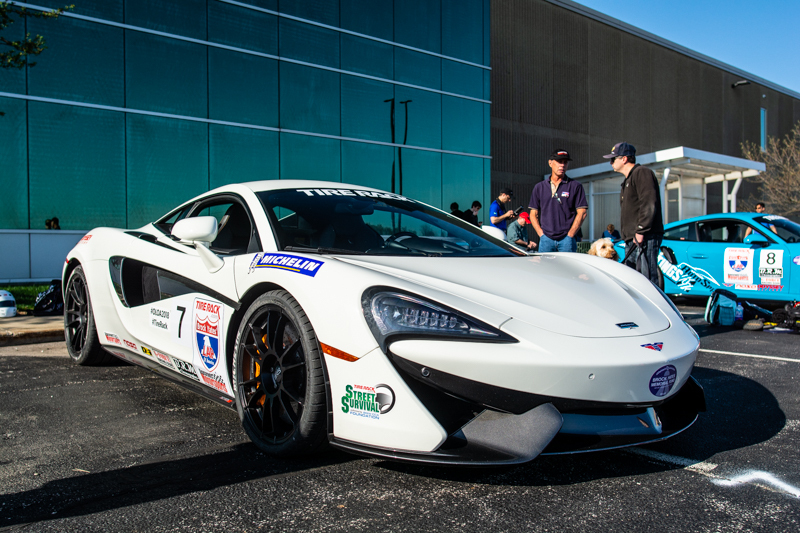 The 2015 Chevy Corvette Z06 that took the overall win belonged to the SSGT1 BB class, which is designed for high-performance and modified vehicles, while second place, the 2016 McLaren 570S belonged to the Stock GT class, designated for unmolested rides. 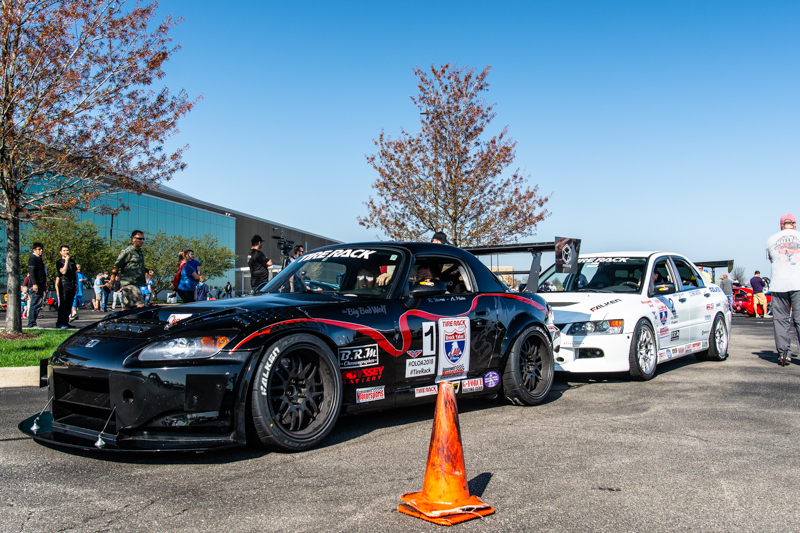 The third-place finisher, a wildly modified 2008 Honda S200 belonged to a modified class similar to the 'Vette, the SSGT2 SB. Another motorsport celebrity joined Foust at this year's One Lap of America, legendary motocross star and professional rally driver Travis Pastrana. We had the chance to catch up with Foust, who unlike Pastrana, didn't actually drive this year's rally, but was present as a brand ambassador at most of the rally stages. Judging by one of his Twitter posts, we can expect to see him at the wheel of a car at next year's event. The Drive: What's the most challenging aspect about One Lap of America? Tanner Foust: I witnessed competitors arriving at the track with only one or two hours of sleep, and then having to focus on learning a new track in three different configurations before heading back out onto the road. Keeping the car healthy is clearly an issue, but keeping the drivers healthy enough to maintain a competitive edge, I think is easily overlooked, and therefore a huge challenge. 2018 Dodge Durango SRT tackles a wet skidpad. TD: What do you reckon would be the perfect car for this kind of event, or at least the kind that you'd like to compete with? TF: I think the ideal car needs to be incredibly “talented.” It needs to be racecar-fast for the long tracks and have brutal acceleration for tighter ones. Also, with the weather being one of the most important variables of the One Lap of America, I think an all-wheel-drive car would make sense. However, this year the competitors saw nearly all dry tracks. My ideal car needs to be tolerable for those 800-mile transits (distance between stages), so the choice is clear: A 991 Porsche Turbo or a wildly tuned VW Golf R!